Scott Ellis and Warren Carlyle never thought they’d bring Kiss Me, Kate back to Broadway. The duo behind Roundabout Theatre Company’s recent popular revivals of She Loves Me, On the Twentieth Century, and The Mystery of Edwin Drood only intended to put together a semi-staged reading of the Cole Porter musical for a 2016 fundraiser. They envisioned it as a fun, one-night-only kind of thing. 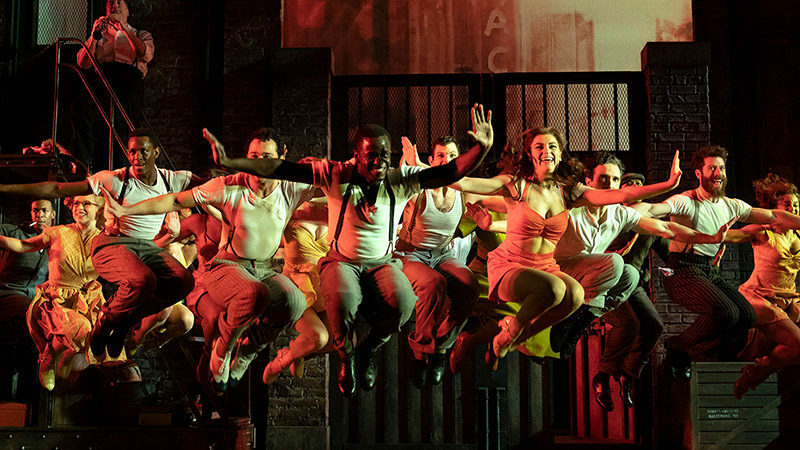 That certainty has led to the first Broadway revival of Kiss Me, Kate in 20 years, reuniting Ellis and Carlyle at Roundabout with many members of their regular design team, and starring a cast led by two big names in New York theater: Tony winner Kelli O’Hara (The King and I, South Pacific) and Will Chase (Nashville). The beloved romantic comedy begins performances, appropriately enough, on Valentine’s Day. 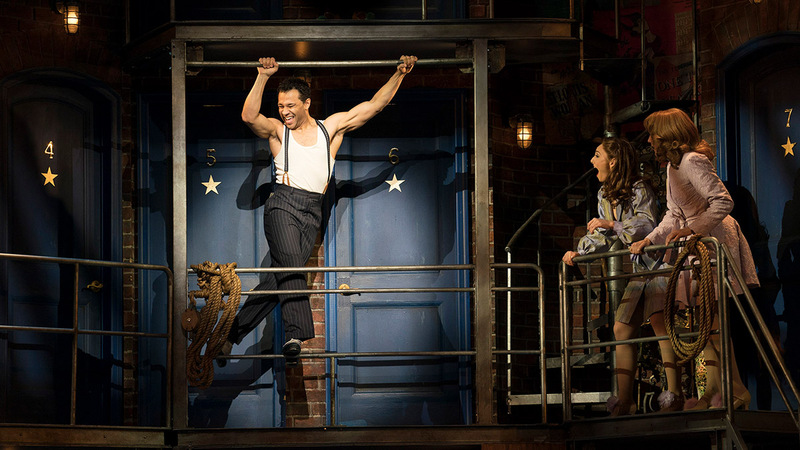 The chief reason to fall in love with Kiss Me, Kate? For Ellis and Carlyle, it’s Porter’s score featuring a remarkable collection of well-known songs, including “Another Op’nin’, Another Show,” “Too Darn Hot,” “So in Love,” and “Brush Up Your Shakespeare.” “The marriage of the music and lyrics is unbelievable,” Carlyle says. Plus, the musical’s storyline, centering on a group of bickering theater people putting on a show, is set in a world that’s near and dear to the duo’s hearts — and to the heart of any fan of musical theater. It’s all made even more compelling by the addition of O’Hara, a beloved Broadway regular. The actress is returning to Kiss Me, Kate after appearing in that initial fundraiser alongside Chase. She’s playing the diva Lilli in a story that Porter and book writers Bella and Samuel Spewak based on The Taming of the Shrew. That kind of in-depth character work is especially important for a musical in which gender dynamics might raise eyebrows in the era of #MeToo and Time’s Up. Kiss Me, Kate, after all, takes its inspiration from a Shakespeare play in which a “difficult” woman is “tamed” by the man who marries her. Ellis and Carlyle are sensitive to the delicacy of some of the subject matter. “Of course we talk about it, because it’s the culture and the world we live in,” Carlyle acknowledges. With that in mind, lyricist Amanda Green (Bring It On, Hands on a Hard Body) has come aboard the revival to make some minor changes to the lyrics (with the permission of the Porter estate). “Even though it’s a period piece, there are a few things in the show where you go, ‘Oof, we really can’t do that anymore,’” Ellis explains. 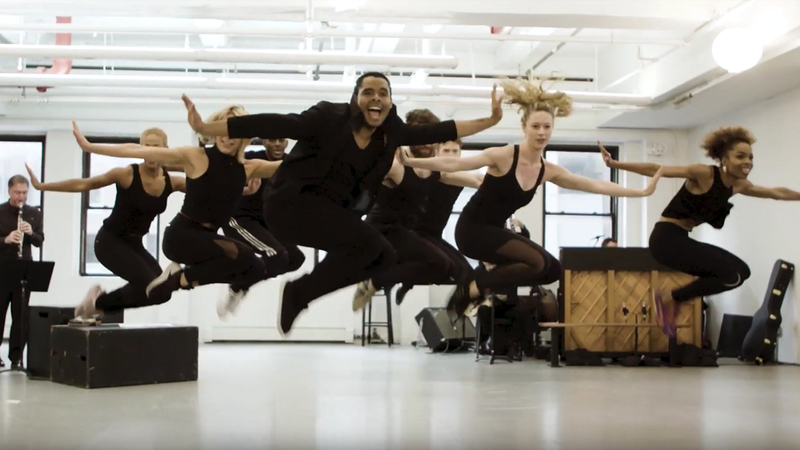 “It’s one giant number after another,” says Carlyle, who draws on the varied dance styles of the 1940s throughout the production. “The show really dances.” Among the highlights: a tap sequence tailored especially for costar and High School Musical alum Corbin Bleu. The show’s designers are also taking their cues from the 1940s, with frequent collaborator and Tony winner David Rockwell (On the Twentieth Century, Hairspray) creating the sets almost entirely from lushly hand-painted cloth drops. Together, the director and the choreographer are bringing Kiss Me, Kate to a new generation of musical-theater audiences — and back to the fans who’ve loved the show all their lives. In some ways, very little has changed between now and the musical’s first opening night, way back in 1948.